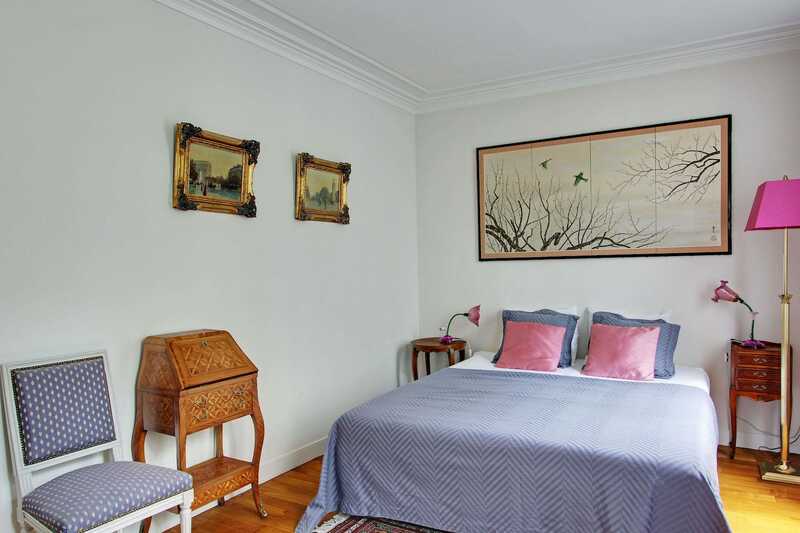 Comfortable newly renovated two-bedroom apartment in the 17th arrondissement. The area known as the Batignolles close to Montmartre has a real village feel, far from the bustle and noise of the big avenues. It has a bobo (Bourgeois Bohemian) atmosphere, with convivial and trendy restaurants. The nerve centre of the quarter is located at the Eglise des Batignolles, not far from the Square des Batignolles. This 70 sq metres or 753 sq ft apartment on the second floor walk up, has views to a pretty garden courtyard. A large living room with a sofa bed and separate dining room with open kitchen makes sharing this apartment very easy. There are 2 bedrooms with queen size beds or the master bedroom can have 2 separate single beds. The second bedroom is off the master bedroom but can also be reached via a corridor off the living room. 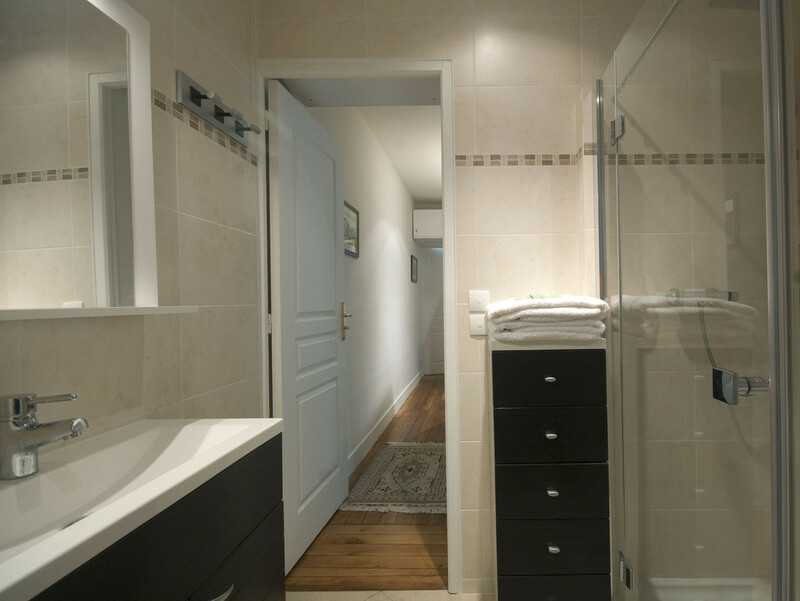 The apartment contains 2 WC's one in the main bathroom which has a walk-in shower and can be reached from the living room or the second bedroom and one off the dining room with it's own sink. 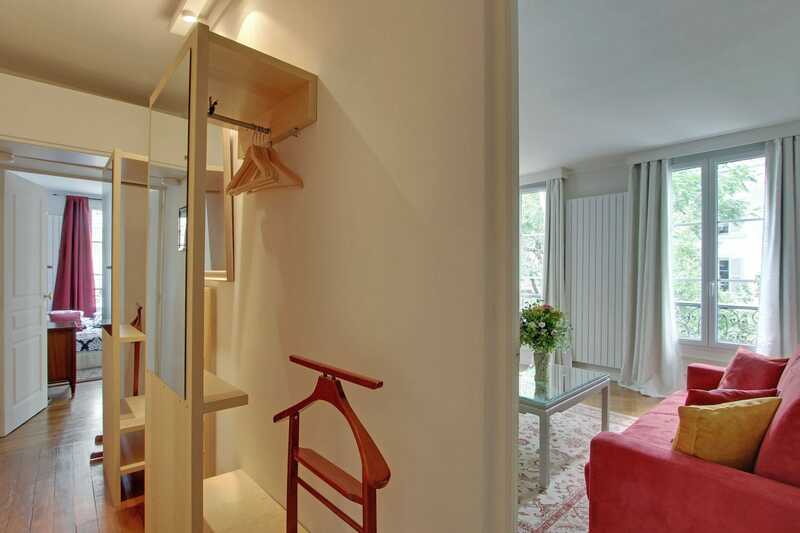 The apartment would suit two couples or up to 6 adults or a family with 3 children. The living room's sofa bed can be converted and is available for one or two persons. 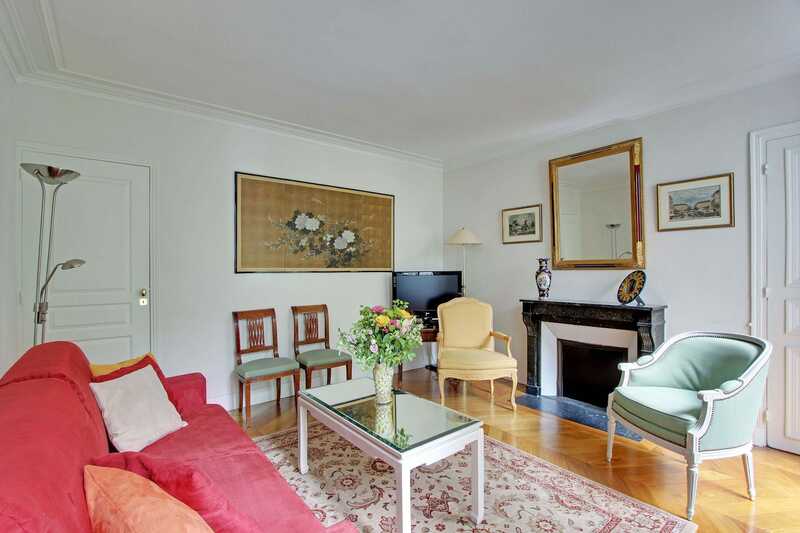 Centrally located - a few minutes metro or bus ride to the Arc de Triomphe and to the top of the Champs Elyses. The area is prized by Parisians as it has shops, restaurants and 2 parks - Parc Monceau and the closer smaller garden Square des Batignolles with duck pond and children's play area. The closest metro is Rome less than 5 mns away but you can also use the Place Clichy metro about 10mns away. The 94 bus takes you directly to St Germain des Pres, a short bus ride to Montmartre, the 'Grands Magasins' (Galleries Lafayettes and Printemps), and Opera. Gare St Lazare is 3 stops away. The Marais can be reached directly on Line 3 at the next metro stop 'Villiers'. Cute apartment in a great area. This unit is located in a great residential area within walking distance to restaurants. Secure entry be at the gate in the front door. Unit is very neat and clean and well decorated. Someone met us to get into the unit and go through everything. Would definitely stay here again. The advertisement for Garden2 apartment was exactly as shown. We would definitely stay there again our next trip to Paris. 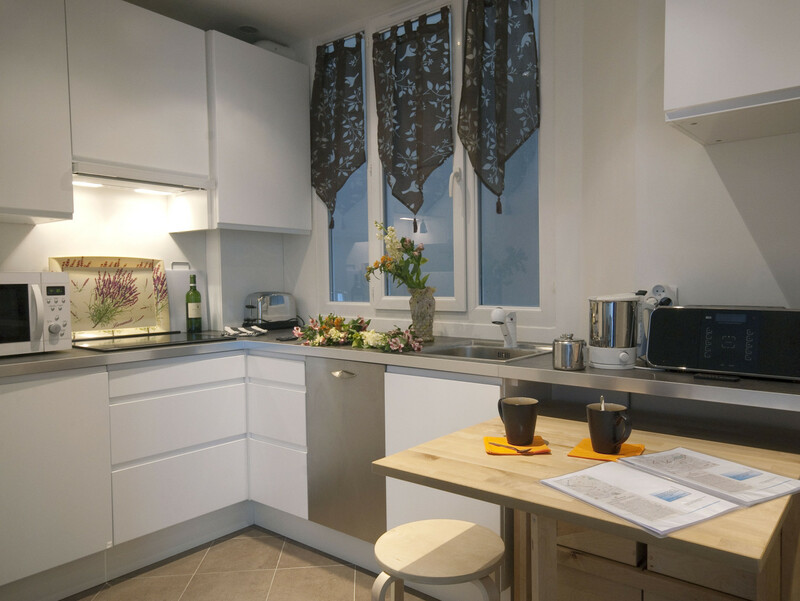 We were met at the apartment, even though we did show up early (traffic was unexpectedly light from the CDG Airport), and given a complete, unhurried run-down of the apartment and area. My wife and I greatly appreciated the wine in the frig as an extra welcoming. The apartment itself was great for my wife, 24yo son and myself. I wouldn't recommend it for a family with small children due to the somewhat tiny spiraling staircase, and the floors are creaky and noise does travel in older structures such as this apartment building - BUT, the ad does mention this. Likewise, there is no air conditioning, as the ad clearly states. Despite the very unexpected heatwave (upper 80s-upper 90s F) hitting Paris the week before and during our trip, the fans in the apartment made things bearable, and we were still able to fall asleep at night. Normal Paris August weather, according to the locals, was usually in the 70s. This happened our last day, of course. But again, we were there to see the sights and use the apartment to store our stuff and sleep at night, so no problems in the apartment sans air con. The two toilets and one shower worked GREAT. The water pressure throughout the apartment was outstanding, with zero problems encountered. Cold was cold, hot was hot, and the shower was blasting. There is a working TV with full cable, but again, we were in Paris to see Paris, not television. We literally never turned it back on after being shown how to use it. But, it is there. There was also little odds and ends previous tenants left behind, such as laundry detergent, international converters and books. Nice little touch there. If you stay there with children, and the large, beautiful vase on the bookshelf by the TV is still there, I recommend you move it to a safer location for child-proofing. Perhaps, even out of the apartment. The neighborhood was very nice. Everything: dining spots, cafes, bars, and the Rome Metro was all within walking distance. If you want to experience an "among-the-locals" authentic Paris experience, stay in this neighborhood. International food choices are to the left and right, American fast food chains here and there, and the Supermarket very close with everything you need. We never, ever felt in danger. As described, the Rome Metro station was RIGHT THERE, however we did use Uber (for the first time ever, anywhere), and it was very, very efficient. Download the Uber app, download the Paris Metro app, and you can find your way anywhere. To summarize, totally recommend this apartment and this neighborhood. This is our second time here and we love this apartment and the neighborhood. Perfect combination of being off the beaten path but with wonderful parks, museums, restaurants nearby. 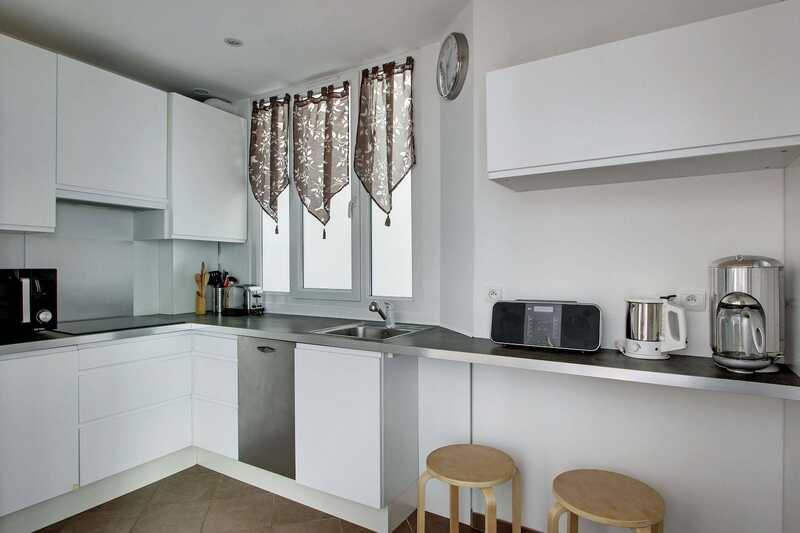 Apartment itself is perfect with modern kitchennet but traditional furnishings. Can’t wait for next year! We, a family of five, stayed one week in the Garden 2 apartment. 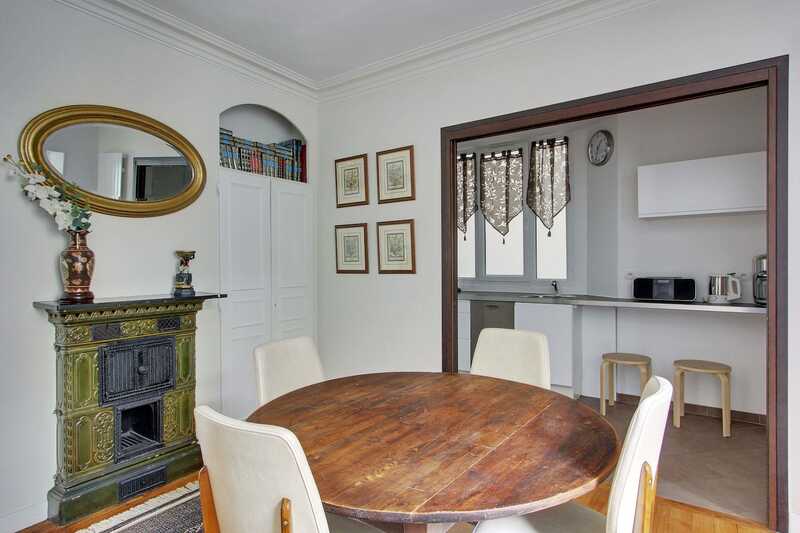 Garden 2 is a really nice apartment in a quiet neighbourhood, 5 min away from the next Metro (M2 Rome) and in walking distance to the Montmartre area. The apartment was very well prepared, clean and in good order. We were warmly welcomed by the agent of Paris Rental Connections. Also during the booking process all enquires were quickly answered and everything went very smoothly. In short - a holiday booking as it should be. We can only highly recommend Pars Rental Connections and the Garden 2 apartment. I stayed in this apartment with my sister and my two adult children. This apartment had a perfect setup for four adults who needed their own beds. Two beds in one room were able to be separated into twins, there was one bed in another room, and the sofa bed was actually quite comfortable. Having one full and one half bathroom was perfect. While located in a relatively quiet section, the neighborhood was still lively with plenty of places to eat and shop. There are two metro stops within a short walk, which was very convenient. The apartment is exactly as shown in photos, and it is clean and well appointed. I would highly recommend a stay in Garden 2. Wonderful apartment! We stayed for 2 weeks with our family. We had our 3 adult daughters with us and the apartment worked well with all the separate rooms. The pull out couch was the most comfortable one I have ever slept on. We hosted 2 dinner parties with up to 9 people and there was plenty of room. Hot water was continuous so we never ran out with the showers. Would definitely recommend. 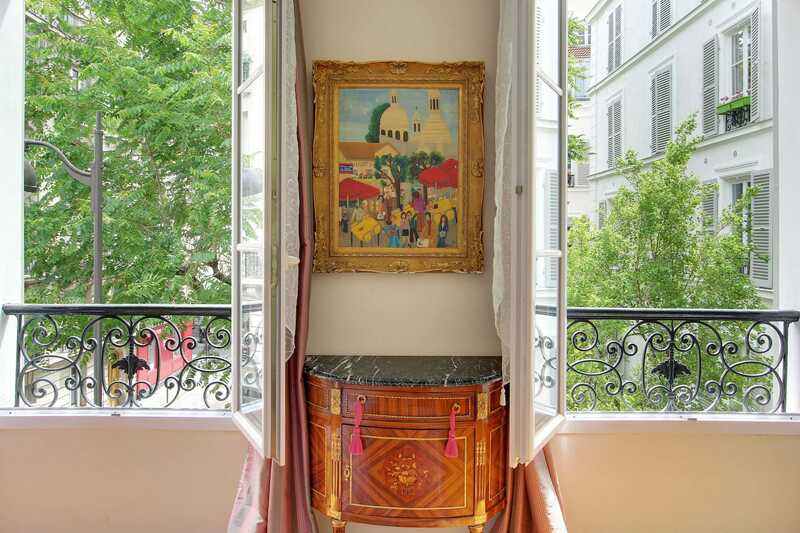 This apartment was well appointed with lovely touches such as the art on the walls. The beautiful apartment building has a garden courtyard in front which you see from your windows. The 17th was a treat to get to know with many great restaurants, shops and parks and easy accessibility to other areas of Paris. We had a wonderful 10 day stay! Absolutely beautiful flat in such a great location - we loved it! 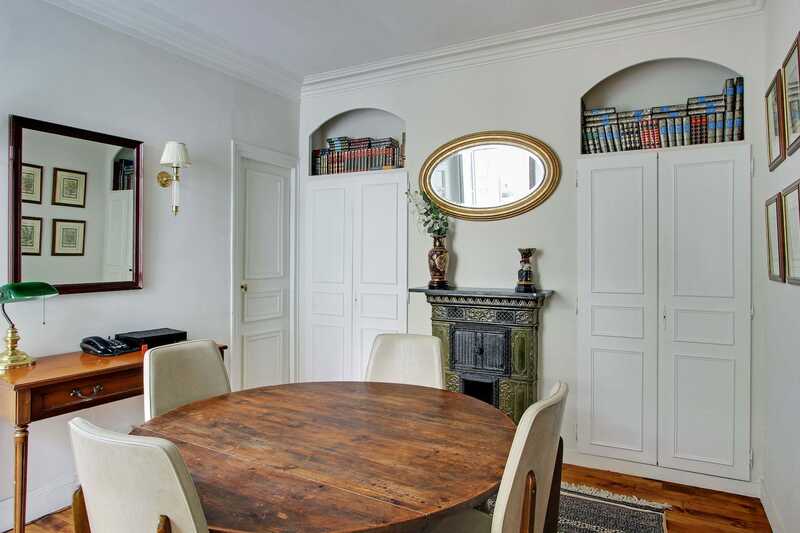 A beautiful apartment, located in a quiet neighborhood of Paris, but also close to the metro stop which connects you everywhere. 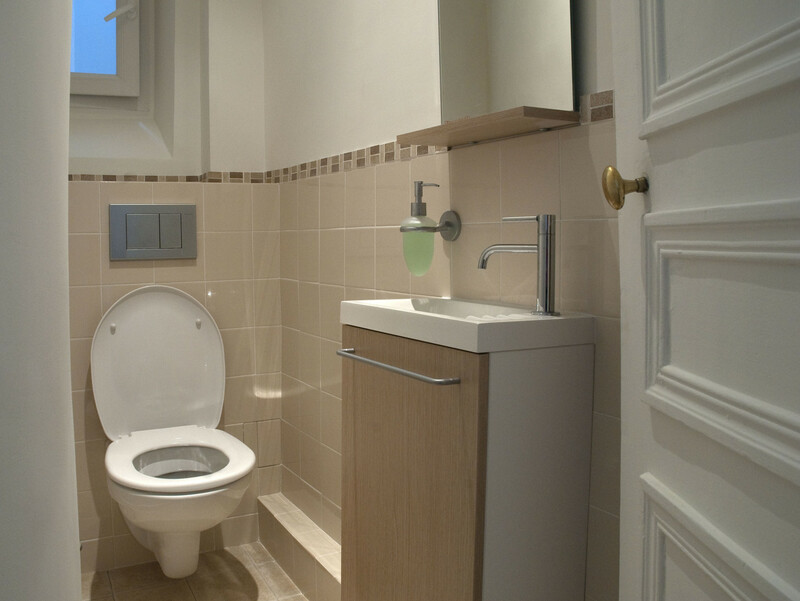 The apartment is spacious, has a modern bathroom with good water pressure, and a nice view to the courtyard. Our visit was the 1st week of October, 2016, and the weather cooperated. The crispness in the air made it perfect for walking. The location was close to Moulin Rouge, plenty of sights nearby, lot's of little shops around the corner to grab a bite or have a full dinner, or even grab food for going back to the apartment to cook. The gardens on the grounds were beautiful. There were children playing and birds chirping and yet, it was a peaceful environment. Google it, the place is just as perfect as the photos shown. It is probably 3 miles from downtown, but the bus is convenient and subway is just around the corner, making everything close without the noise of downtown, even for us during Fashion Week. We loved it and you will too! Beautiful apartment, quiet neighborhood. Plenty of shops and eating within walking. The metro was 2 min walk and got my family everywhere. 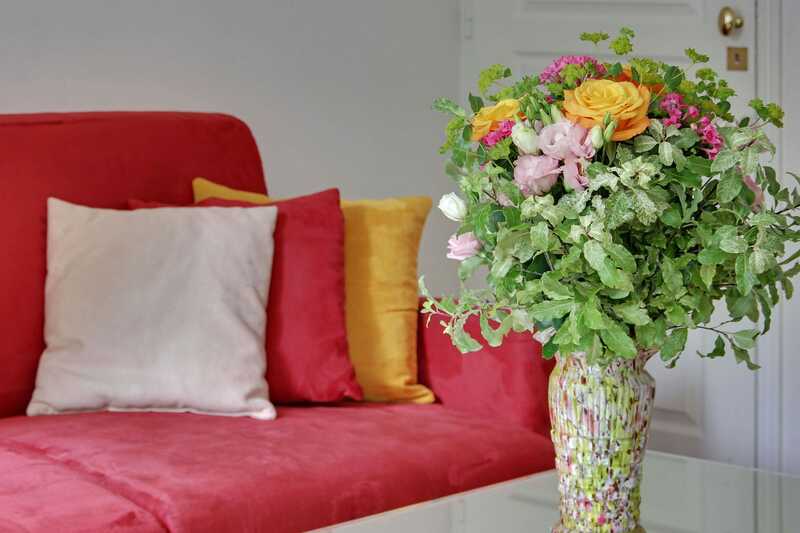 It is a very cozy, spacious , quiet flat, With fresh air, garden view and safe environment. It can easliey home to 2 families,even 3 family at most . We enjoyed so much. There are supermarket, all different restaurants all around the corner. Park is only 5 minutes walk. Perfect for kids. The agent provide good service, Ben who welcome is very friendly and informative. Will stay there with families next year. Spent 3 nights in Garden 2 and we had a wonderful time. The apartment was clean, secure, and in a great location. 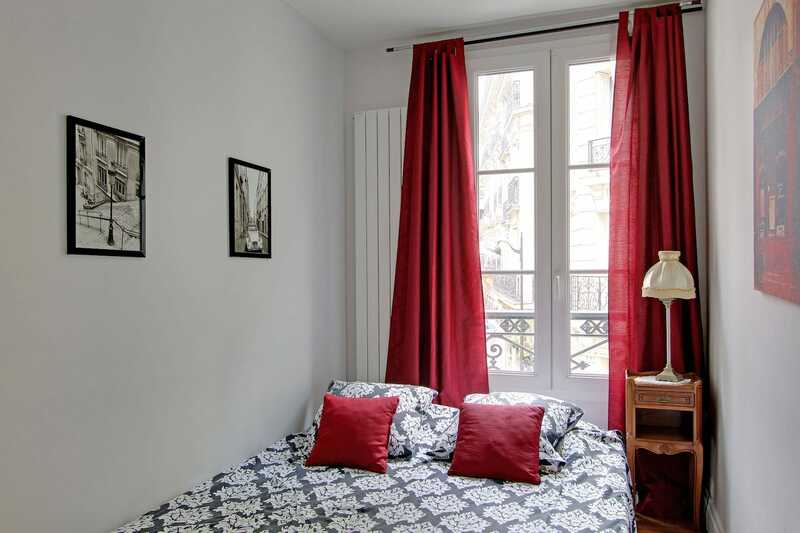 Easy access to the Metro and a nice 30 minute walk to Montmartre. We really liked the neighborhood as it was quiet and filled with locals, not tourists. The sleeping situation was great for us with twin girls who could share a bed and a teenage son who slept well on the sofa-bed (which he said was more comfortable than most). We had no problem negotiating the narrow, spiral staircase, which added charm to the experience. There is no lift, so that should be a consideration for older or less mobile guests. We were pleased with the management company, they were really attentive and responsive. The apartment has many good features and the apartment and the description was the same as in the site. The kitchen and bathroom are upscale and lovely. The beds are very comfortable, lots of TV stations. The living room area is quite big, we enjoyed our stay in this lovely apartment. This was a great apartment for a family. We travelled with our two twenty something kids. With two bathrooms we had lots of space for morning activities. The kitchen was well equipped for simple meals. It is a little outside of main attractions, but the metro is less than a 5 minute walk. We were able to be anywhere within 20 minutes. There are lots of little shops and restaurants in the area. Hermoso apartamento tal cual se muestra en las fotos, muy calida recepción y muy atentos a nuestras solicitudes. Lo recomiendo 100% a toda la comunidad. Wir haben zu viert ein verlängertes Wochenende in "Garden 2" verbracht und waren rundum zufrieden. Die Wohnung ist (für Pariser Verhältnisse) geräumig und wirklich gut ausgestattet. Die Nachbarschaft bietet alles, was man braucht: Bäckereien, Supermarkt, jede Menge Restaurants und Kneipen. Die nächste Metrostation ist nur 2 Minuten entfernt, von dort sind es z.B. nur 5 Stationen zum Arc de Triomphe. Ein idealer Ausgangspunkt für Touristen- aber mitten in einem ganz normalen Wohnviertel. Und nicht zu vergessen: der sehr freundliche Empfang und die vielen hilfreichen Tipps von Galenya- nochmals vielen Dank! "Great location and nice space!" We had a great stay in this charming flat. Plenty of space for 5 adults, much larger then we were expecting. The neighborhood was lovely, fairly quiet (even over NYE) and easy walking to the metro along with other grocery stores, restaurants, and bakeries. We felt safe and enjoyed our stay very much! Our only piece of feedback would be around the bedding - a fresh set of pillows/bedding would be a great addition. Thank you for a great stay. We were a family of five and this apartment suited us quite nicely. The apartment was clean and comfortable, there was no a/c but we were fine because of the weather. It is in a residential area which was nice to feel like parisiennes while we were there. The bakery down the road was awesome and there are many restaurants, shops etc nearby. The metro stop was close and we easily navigated to the typical tourist areas within 20 min. Metro rides. I noticed that there was food left over from previous tenants, ie opened bags of pasta biscuits etc. Mme. C. Across the road was very helpful. We needed to ask her about the washing machine and she came over right away. I would recommend this apartment as we enjoyed our stay in it. 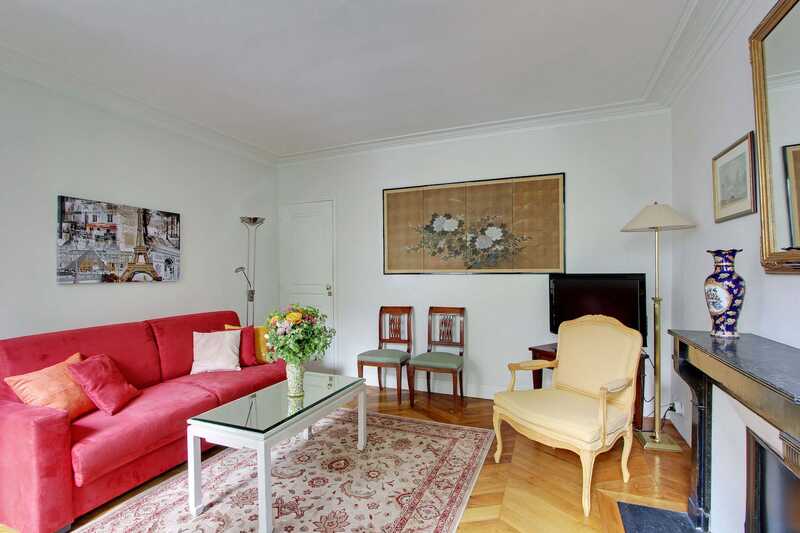 "2 senior women friends from Canada's west coast who enjoy travelling together for extended vacations"
"A few days in Paris"
A lovely, well equipped apartment with plenty of space for the 3 of us. 2 double bedrooms are spacious and comforatble. A short walk to the metro and with a local supermarket, bakery and restaurants nearby, it was ideal, set in a quieter area and not too far from the sites of Paris. It is easy to walk to different metro stations for different lines and the view of the Sacre Coeur on a walk back one evening up above on the hill was beautiful. The local Thai restaurant was a godsend on a Sunday night. The only negative is the reverberation of the closing of the front door through the building when people come and go in the morning. The apartment is well equipped and comfortable. The weather was still mild so the apartment was warm but, if it were to be cold, there are plenty of radiators to keep it warm. A good spot to stay any time of year. The place was perfect for us in a great location, very clean and neat with plenty of restaurants and stores of all kind nearby, 5 minutes walk from Rome metro line. We'd definitely recommend to anyone we know traveling to Paris. We had an amazing week at the Garden apartment. There were 5 adults and it was quite comfortable. The apartment was clean tidy and really lovely. Location was great and close to all transport. The staff could not have been more helpful. It was a wonderful experience. I highly recommend this place. 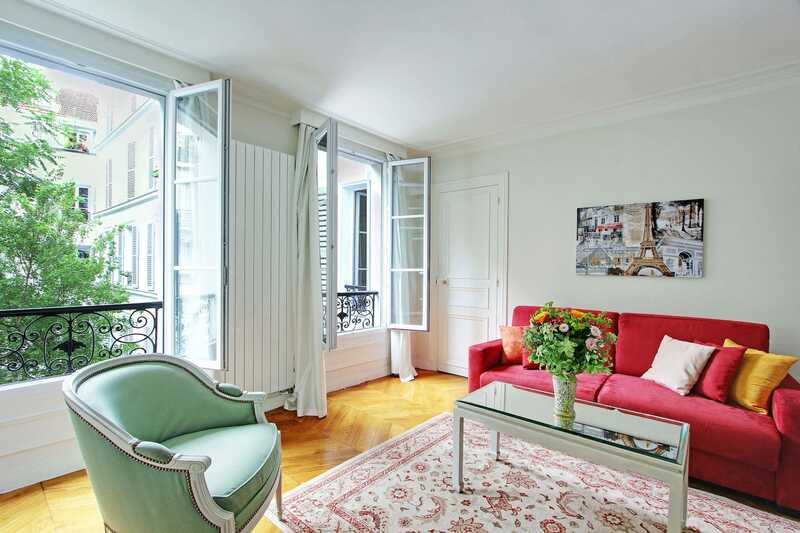 "Cozy flat in the 17th that was near perfect for our family's trip"
1800's flat in Paris's 17th district. Cool neighborhood with great shops for food, wine, banking, etc. Short stroll to the Rome Metro stop. We even walked to the Arc one day and stopped at a coplace cafe for a real french lunch. 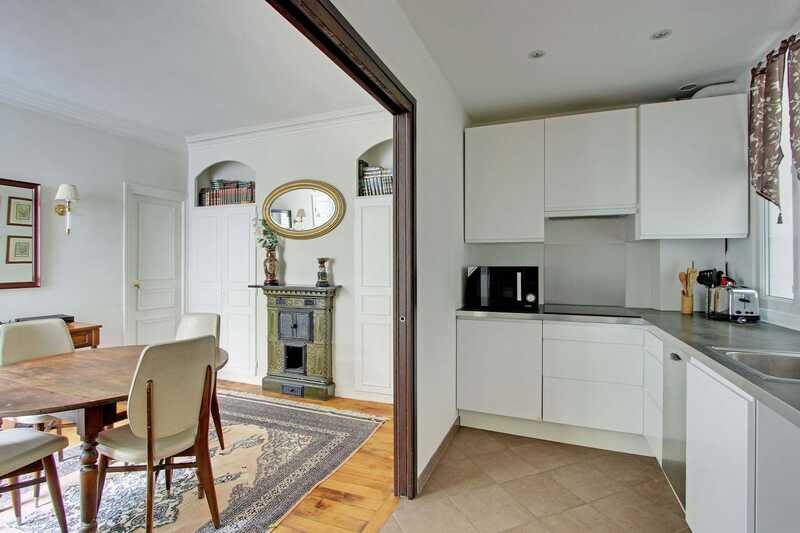 "Great flat in a great neighbourhood"
Perfectly situated flat in the 17. 5 minute walk to the Rome Metro and a neat neighborhood as well. The area is filled with shops, cafes, banks, bakery shops,etc. We never wanted for a thing in our week in Paris. I'd stay here again in a heart beat. Shelley was a great resource when she walked us through the flat and gave us ideas on how to experience Paris. Great apartment, wonderful location, easy access to the train station, great restaurants, supermarkets, bakery, etc. Everything you needed was in the apartment. The staff was wonderful and helpful, and I would definitely stay there again. 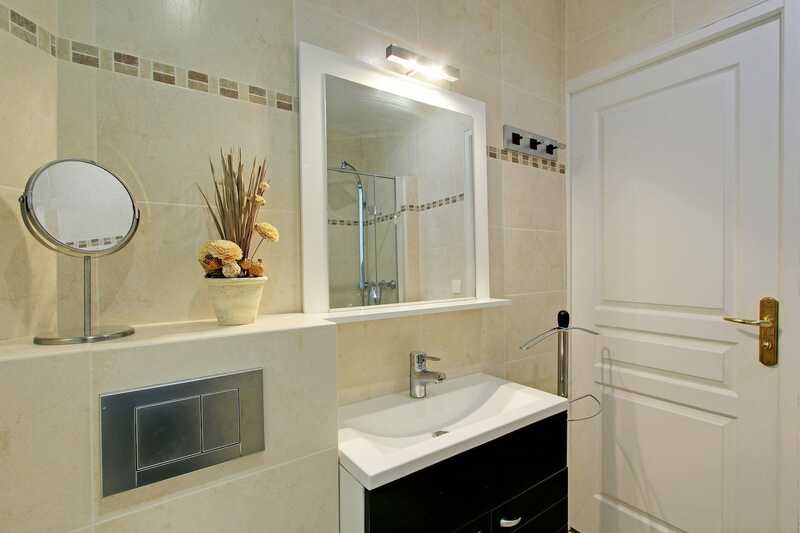 Lovely renovated apartment in the 17th close to shopping, restaurants, services, metro. We were 4 adults, had lots of room and just loved the neighbourhood. This is our fourth experience with Paris Rental Connection and each one has been excellent. Their office staff as well as their local reps are courteous helpful and efficient. "Lovely apartment in good location, excellent wi-fi!" My family of 4 stayed here for 3 days in June and we loved it. Just the right size for us, in a very good location. Close to Rome Metro station and lots of restaurants and shops within walking distance. The unit had excellent wi-fi (I noticed a sign in the lobby indicating the building has a fiber-optic link). The apartment itself was a nice mix of classic details in the living room and dining room and some modern design/conveniences in the kitchen and bathroom. Before we arrived, the rental agency provided great info on getting to the apartment. The agent met us to show all of the apartment details and was very polite. 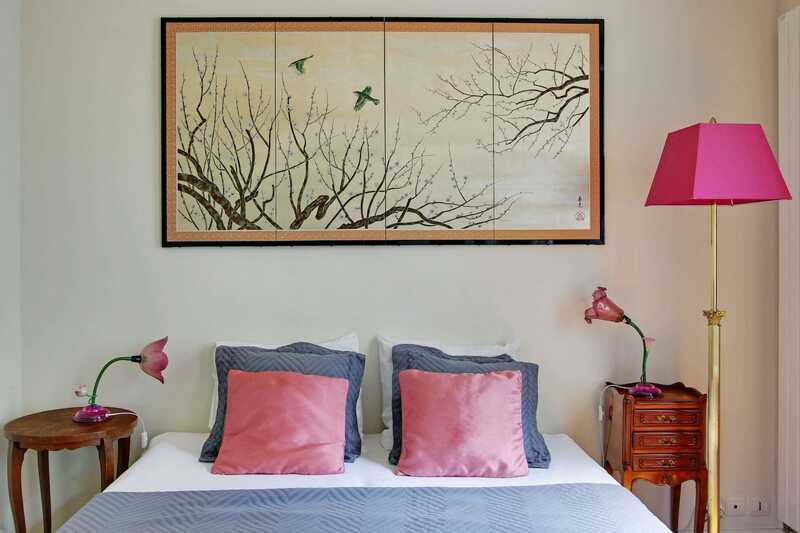 "Delightful apartment in charming Parisian neighbourhood"
The Garden 2 apartment in Paris' 17th did not disappoint. We stayed here with our four children in late June / early July, and there was plenty of room for us all. Very clean, charming apartment and not a tourist in sight (other than us!). We appreciated the lively and convenient location, with grocery stores, bakeries, pharmacies, natural food stores, shops and a metro stop only a short walk away. There is a weekly organic market every Saturday, a few minutes away on foot, with an abundance of local delicacies that you will not find easily elsewhere. We also appreciated the washing machine, clothes-horse, free international phone calls and reliable internet. We felt like locals. The only minor improvement we could suggest would be to replace the pots, which do not work on the induction stovetop. Overall, It was a great stay and we would heartily recommend it. 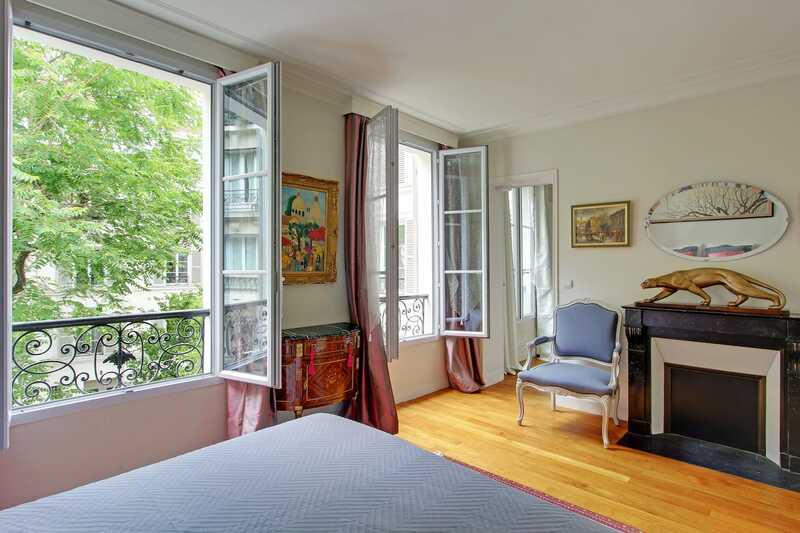 This was our second stay in Paris apartments (first time in Elegant2) and we highly recommend these apartments. They are very clean, beds are very comfortable to come home to each evening after a big day out in Paris. It really is home away from home. So good being able to drop by fresh market and have a light dinner or eat out and have room to move without disturbing members of the family by having more than one room to share as in a hotel stay. highly recommend. We were late loooking for a nice place in Paris for Easter. 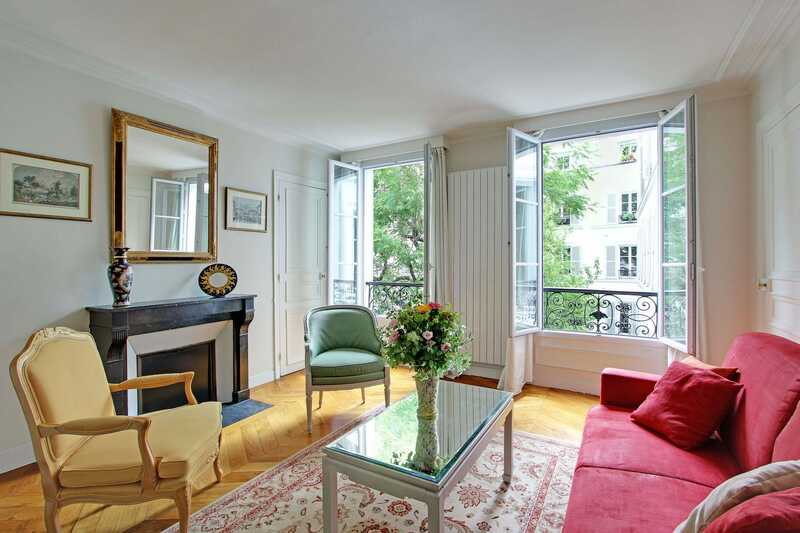 We studied many many adverts and finally we stumbled across Paris Rental Connections and the garden 2 appartment. It seemed to fullfil all we wanted (and more). What can I say: we had a wonderful week there. The app. is in a really quite side street and its modern windows close out any left street noise (which is, be assured, absolutly moderate) and we slept very well. There is a lot of space in the app. The beds are very comfortable (the master bedroom bed has very good matrasses). You will find Wifi, a big TV with many cable channels, DVD player which was nice for our daughter at nights. There is enough tableware, cutlery and pots for cooking and eating in if you want to. The location is very nice. We felt safe and at home in "our" area Batignolles. There are bakeries just round the corner and a 5 min. walk will bring you to rue Levis where you will find the best shopping for food (big supermarket and many speciality shops). The next Metro stop is less than 5 minutes. Of course you are not exactely in the most inner circle of Paris but on the other hand you will need public transport anyway in such a big city. And it is quite and calm here! Thats a big plus! There are a lot of details we loved about the appartment. Often you will find only 1 towel per person. Here you will find a full cupboard of them. There were some beauty products, even detergent for the washing machine/dryer. There is a hair dryer and many more small things (also in the kitchen) that make life easy. Big plus the speed of the communication we had with Paris Rental connections, they answered all our questions promptly and the whole transaction was very well planned. Welcome was friendly and efficient. We got our security payment back within some 10 days. Very well. 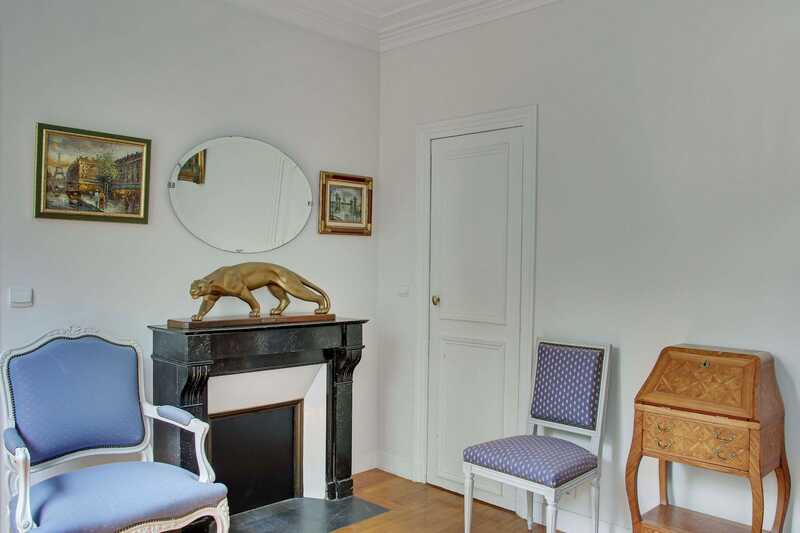 Everything was really nice and we can absolutly remmonend this place to anyone looking for a home in Paris! Highly recommend this apartment, it was beautiful, clean and in a brilliant location. The agent was very friendly and helpful on our arrival. We wouldn't hesitate booking with Paris Rental Connections again. We loved our stay at Garden2. The check-in was seamless. The apartment was spotless- with a washer/dryer combo that was a big help with three young children. The modern kitchen even had the basics for cooking (olive oil, salt, pepper, tea, coffee, cereal etc) which was a nice touch. The sleeping arrangements were great with 2 bedrooms that could be closed off for nap time. We found the apartment to be surprisingly spacious. There was a little bit of noise from the apartment above and from the street but that is to be expected in big city life. The location is great - there are lots of young, hip Parisian families in the neighbourhood. We ate at some very good restaurants and found some cute shops. It was a two minute walk to the supermarket/cheese shop/wine shop etc. Very funky vibe - felt like real Paris, not the tourist version. The Rome Metro stop is five minutes walk from house and is an easy ride to all the hotspots in Paris. Other Metro options are also a quick walk from Les Batignolles. We even walked home on a couple of occasions - with a 3yr old in a stroller, and a 6 yr old and an 8 yr old on foot, it took us 35 minutes from the arc de Triomphe. Parc Monceau was a great play spot for the children - it was wonderful for them to meet and play with the locals. All in all, we loved the apartment and our experience with Paris Rental Connections was superb! Merci a tous!!! 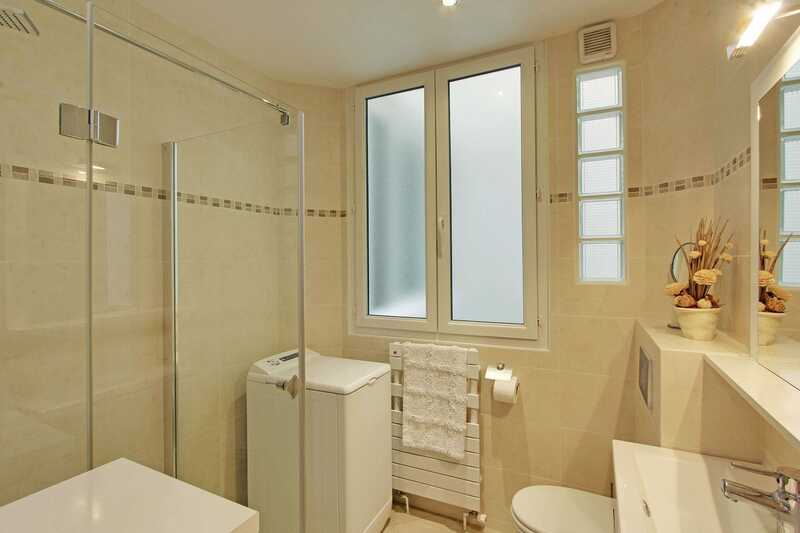 Fantastic location, great area to stay, close to Metro, supermarket, restaurants. Apartment was well equipped for family cooking, just perfect for us. 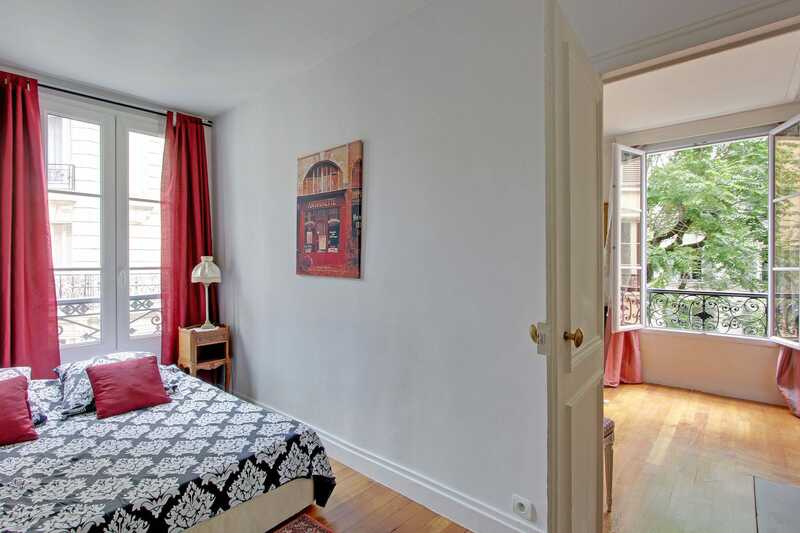 The apartment is quaintly French, eg from one bedroom, the only way to access the bathroom is through either the next bedroom or the living room (also a bedroom. However, we had everything that we needed with excellent domestic shopping facilities very close. Operating the washing machine/dryer did present us with quite a puzzle. My daughter, son-in-law, and I found this apartment to be just what we needed in Paris. It was great having a refrigerator and dining table to eat the cheeses, bagettes, pastries, and other goodies we bought. It was useful to have an extra half bathroom, and the main bath had a nice shower using the European hand held (the 12 " rain shower head shown in the picture was not attached). Beautiful master bedroom. Close to the Metro. We would definitely stay there again! Excellent service from Paris connections. We were very happy. There was plenty of room for our family of five and it was very convenient to grocery shopping, metro etc. There is a park not too far away which we enjoyed very much. Great place to sit and people watch. Our family of 5 stayed at Garden2 in the first week of august for 10 nights. The apartment was clean spacious and the kitchen was well stocked. Three is free wifi. It is in a great area with several cafes/restaurants around. There are 2 supermarkets closeby which open till 9 pm. There is also a park nearby with play equipment and ducks in the pond. The apartment is a 5 minute walk to the Rome metro. Most of the TGV stations are less than 30 minutes door to door. The response time by the managing agents was fantastic and they answered all our queries promptly. Their representative was at the apartment when we arrived and took time to explain all the important details. We received the security deposit back in a week since moving out. Definitely recommend. The appartment is located in a very non touristy area. That has an appeal, but also makes it a little "far away". If you are good with the metro is a brezze to get anywhere, anytime (including the airport and Versailles by train). The area has a good mixture of restaurants, bars, grocery stores, bakeries, Velibs, all in a three block radius. 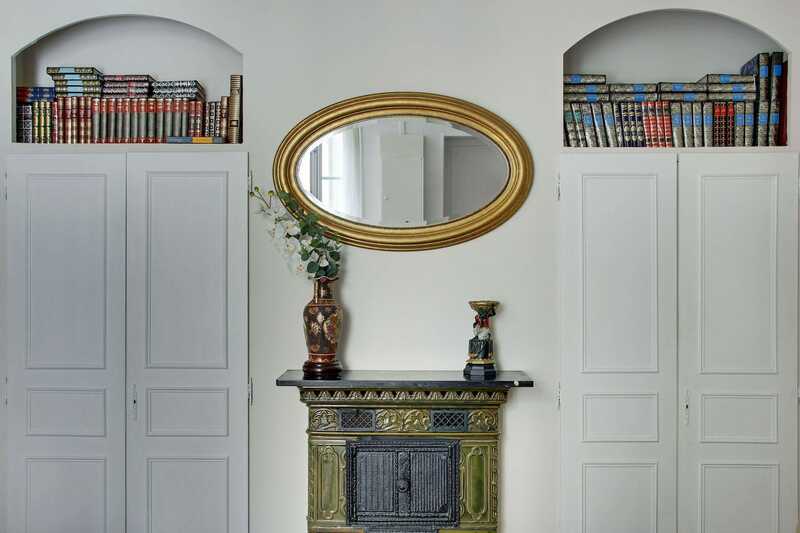 The property itself has a quirky layout, but still a two bedroom, one and half bathroom property. Bathrooms have been redone, kitchen has everything, the property is clean and quiet. Wifi worked perfectly. Check in-out, flawless. Next time, if I travel with wife only, I will stay more central, but this one for a party of 4-5 is very good. Just returned from a wonderful trip to Paris with my two sisters to celebrate two milestone birthdays . 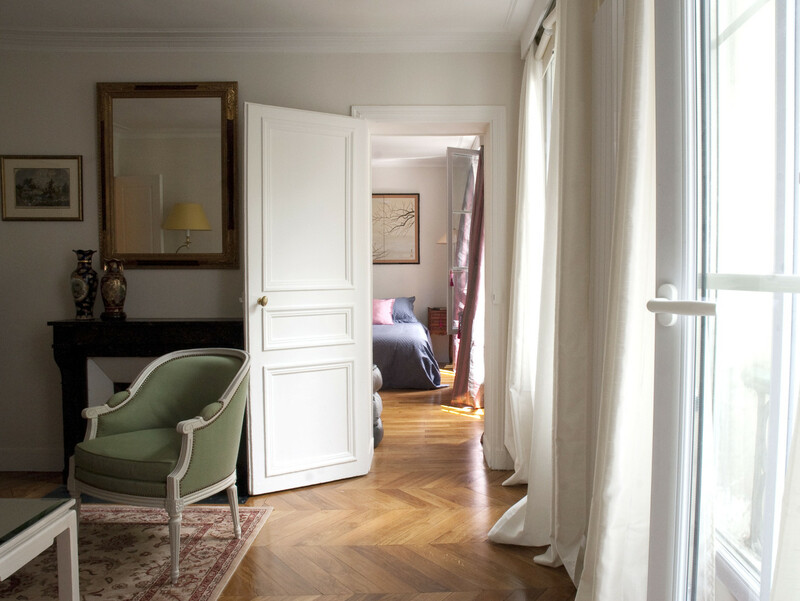 This apartment suited us perfectly with each of us having our own seperate bed, and the addition of two bathrooms (one is a powder room) was an appreciated luxury in Paris. The service to arrange our stay and transportion to and from the airport with Paris Rental Connections was excellent. From the email communication prior to our trip, the driver from the airport, to meeting the very helpful paris agent at the apartment upon our arrival, it was all very positive and professional. I would most certainly rent from them in the future, and stay at this particular apartment as well. In Paris standards, the apartment was spacious. It was very clean, well appointed, in a great location (close enough to get you to downtown very quickly, but just far enough that you aren't in a touristy area) and even though it did not have an elevator, it was only on the second floor, so no problem. We just loved the community feel of this home away from home. Even though we shopped and ate all over Paris, the apartment is located in a very nice area just filled with wonderful boutiques, restaurants, cafes, and a small but great weekend market just down Rue du Levis (a five minute walk away). There are also bakeries, a good quality super market (Mono Prix), cheese shop, wine stores, butchers, deli's etc. We appreciated having the ability to have a full busy day touring Paris and coming home to our apartment, opening up a bottle of French wine and relaxing. It is a great place to just wind down from all of the hustle and bustle. The metro is only a short walk away, connecting you to the rest of Paris. The three of us had a very memorable trip, and I wouldn't hesitate to go back and stay here! We stayed in Garden 2 for a week. The location is good and convenient to many attractions. The apartment is clean and has two bedrooms and one extra sofabed in the living room. The agent is pretty good and helpful for check-in. 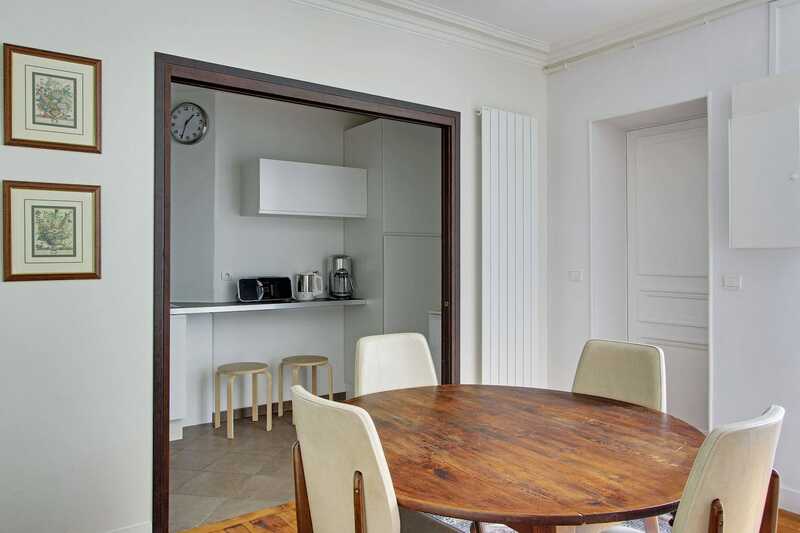 We whole family enjoyed very much this home-style apartment in Paris. The apartment was conveniently located near metro and bus stations. The necessities shops are in a 5 to 10 minutes walk from the house. A number of restaurants are nearby as well. The apartment isn't new but is definitely well kept and maintained. Very secure with the gate and lobby entrance both have separate codes to open. The apartment is equipped with things you'd need from a working kitchen (a 4-burner induction stove, a microwave oven, coffee maker water heater, a dishwasher, a small fridge and an extra freezer plus utensils and flatware ) to washing machine. Bed linens and towels are included, Internet connection is also provided in the house. There are two connecting bedrooms and the living room was converted to a bedroom as well. The convertible sofa can conveniently sleep two persons. We ended up with 3 spacious bedrooms. The bathroom has ample space to move around, good water pressure and hot water is always available.. A powder room in the dining room was a plus too. The dining table can conveniently sit six persons and was the most used area by us. If i am to find fault in this gem of a find, it'd be that some floorboards creak and can be heard in other units likewise, you can hear the person in the above unit move around. Kudos to Ms. Elodie Fortoul from the Paris connections office was just great at coordinating things.This lady has the patience to answer all queries and was able to adjust to our needs. 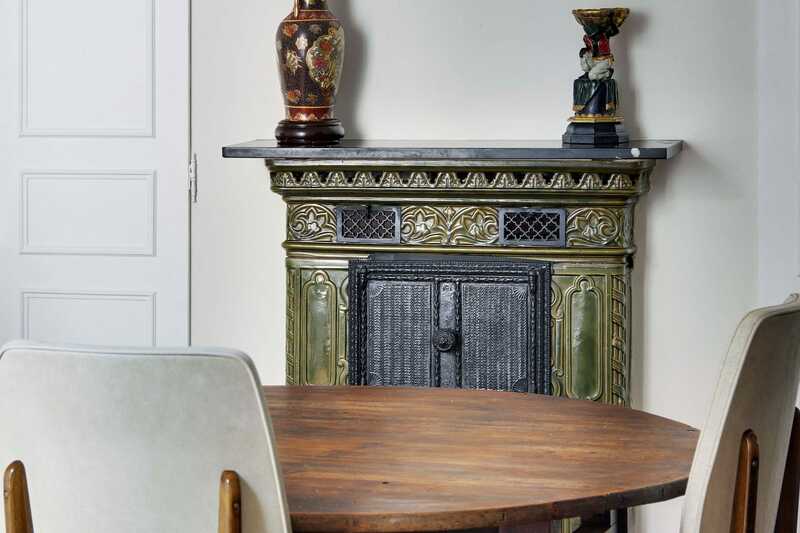 Paris agent, Shelley Bancroft is a gem, she met us in the apartment when we arrived and didn't leave us until she was sure that we understood how everything worked and gave us practical advise and get our bearings of the city. She would leave you an operating manual for the apartment (yes, the apartment) it contains everything you need to know to get things going. Staying in an apartment was practical and cost efficient for us. The accommodation cost for the three nights and four days we spent about 41€ per person per night. I normally stay in hotels in traveling, and my first trip to Paris was no exception. I have stayed in a lovely gem of a hotel, I have no qualms about it. The second trip though is a bit different as there were six persons in my party and an ideal place to stay in would be an apartment rental. Thanks to Flip Key, We were not disappointed by Paris rental connections' place, the Garden 2. Initially, I wanted another unit but was told that my dates will not work for it and was referred to a list of available units. The Garden 2 was the one I picked from the list and was not disappointed at all. The apartment was conveniently located near metro and bus stations. The necessities shops are in a 5 to 10 minutes walk from the house. A number of restaurants are nearby as well. First up, The apartment isn't new but is definitely well kept and maintained. Very secure with the gate and lobby entrance both have separate codes to open. Gives you peace of mind if you have teens and an elderly in a group. The apartment is equipped with all the necessary things you'd need from a working kitchen (a 4-burner induction stove, a microwave oven, coffee maker water heater, a dishwasher, a small fridge and an extra freezer plus utensils and flatware ) to washing machine. Bed linens and towels are included, Internet connection is also provided in the house. Food stuff can be found in the kitchen for consumption for in case you arrive late and have no provisions with you, you won't go hungry; you just have to replenish the pantry of what was consumed. which was not a problem at all we ended up stocking the pantry with a teeny bit more than what we consumed... In Paris, with six persons staying in an apartment unit you'd think that we'd be squashed in like sardines, but it was just the opposite, there are two connecting bedrooms and the living room was converted to a bedroom as well. The convertible sofa can conveniently sleep two persons. We ended up with 3 spacious bedrooms. 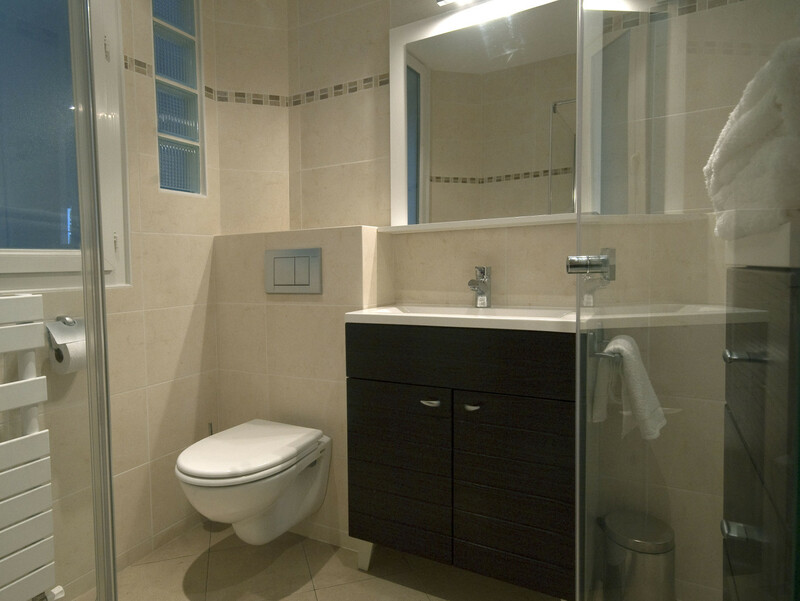 The bathroom has ample space to move around, unlike in some hotels where one can barely fit into a shower stall. A powder room in the dining room was a plus too. The dining table can conveniently sit six persons and was the most used area by us. It is where we convene to discuss the next itinerary while dinner or breakfast is being prepared. If i am to find fault in this gem of a find, it'd be that some floorboards creak and can be heard in other units likewise, you can hear the person in the above unit move around. No biggie. Kudos to Ms. Elodie Fortoul from the Paris connections office , she was just great at coordinating things. She was able to hold the place for us for more than four weeks with no hassle. This lady has the patience to answer all queries and was able to adjust to address our needs. The Paris Agent, Shelley Bancroft is a gem of a lady, she met us in the apartment when we arrived. Her rapport with clients is just great. She didn't leave us until she was sure that we understood how everything worked and gave us tips on where to buy things and get our bearings of the city. Shelley also gave great advise on how to maximize our four-day stay in Paris. Aside from the instructions, Shelley would leave you an operating manual for the apartment ( yes, the apartment) for it contains everything you need to know to get things going. On the last note, staying in an apartment proved to be more practical and cost efficient for us. The accommodation cost for the three nights and four days we spent about 41€ per person per night compared to staying in a hotel with at least 60€ per person. We cooked our own food too. And it was Easier for us to convene since we're all staying in one unit. Loved our stay here, very Parisien fairly compact but everything you need. Stayed with our 3 kids, 2 four year old's and an 8 year old they enjoyed it too. Close to Metro- Rome. Very hot as it was summer and no a/c but I think pretty much everywhere here he same- however two fans provided helped a lot. Not for anyone who can't walk up stairs as there is a quite narrow winding staircase, however we thought it added to the charm of the place. We found the Garden 2 apartment to be a convenient and suitable base for our explorations around Paris. 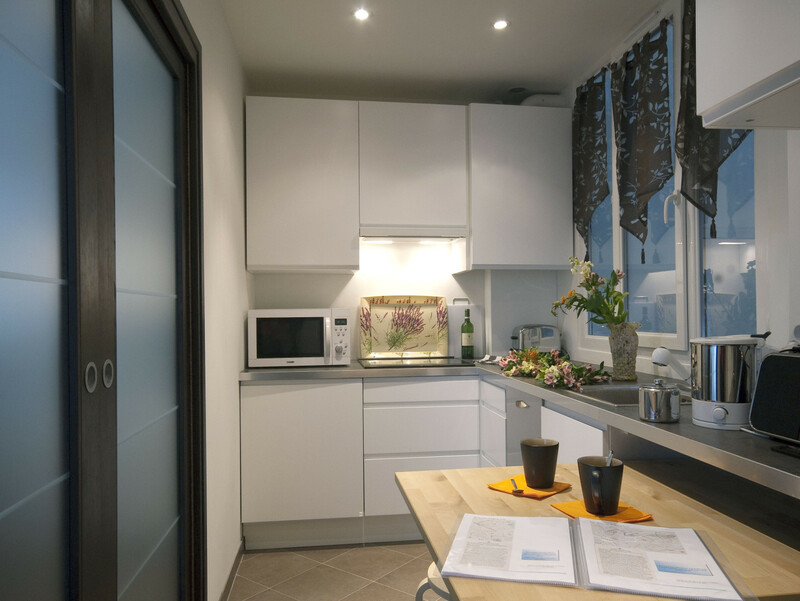 It's location is it best feature, being a few minutes walk from Rome Metro station. However, we found the Place de Clichy Metro station to be far more useful in terms of connections to other lines even though it's a few minutes further walk than Rome. Also, Place de Clichy does at least have an up escalator - a rarity in the Paris Metro. Our meeters and greeters were professional and totally comprehensive: something we appreciated after a big trip from London. The building looks to be in the final stages of restoration, but the builders weren't intrusive. 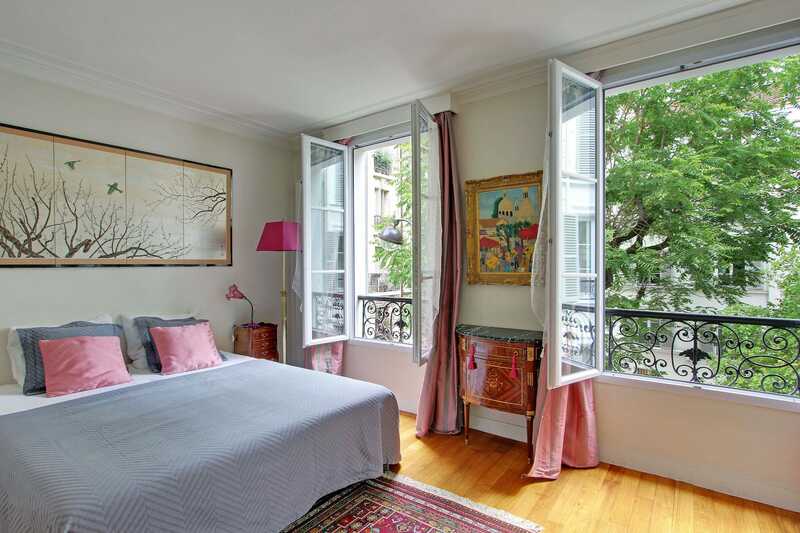 Anyway, Garden 2 provides an opportunity to stay in an up-to-date apartment in one of those old Paris buildings.